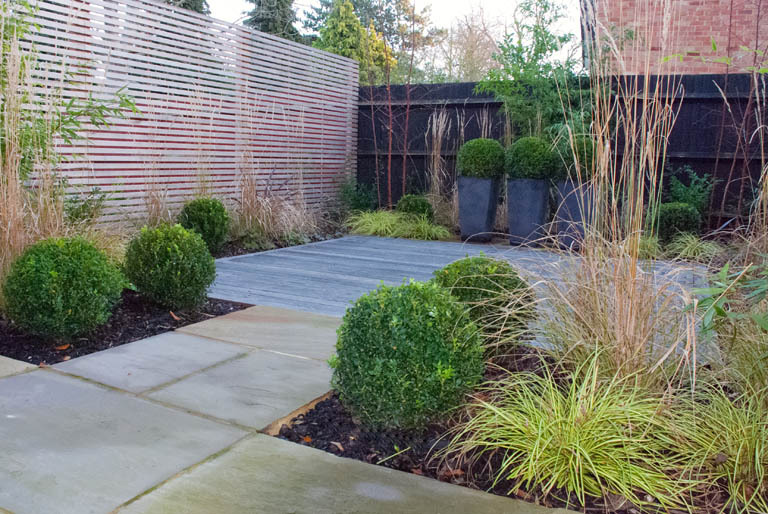 I went back to my project in Sutton yesterday and it’s looking really fabulous, even if I do say so myself! The planting has filled out so much in a year and it’s really starting to feel as though it’s no longer a new garden. 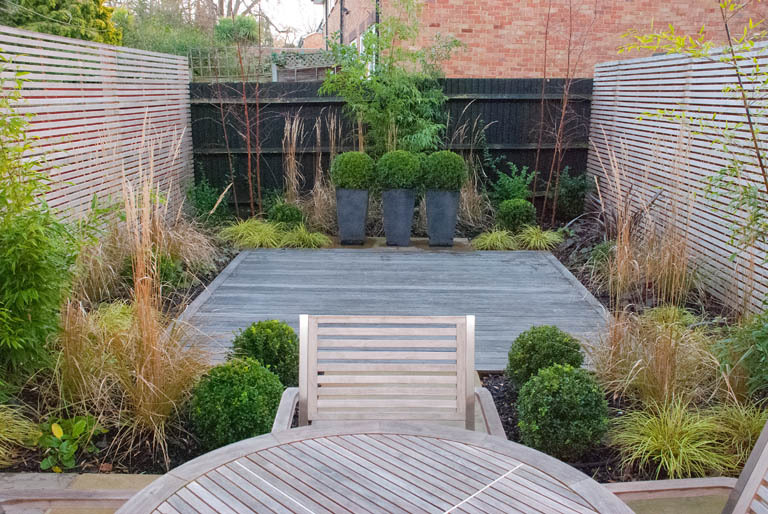 What I love about the planting in this garden is that it’s designed to look good all year round and because my clients didn’t really want any plants with showy flowers, it has very much the same look and feel whatever the weather. The trees and bamboo have put on some growth, although still need some more time to fill out and mature, but the perennials have filled out quite a lot. 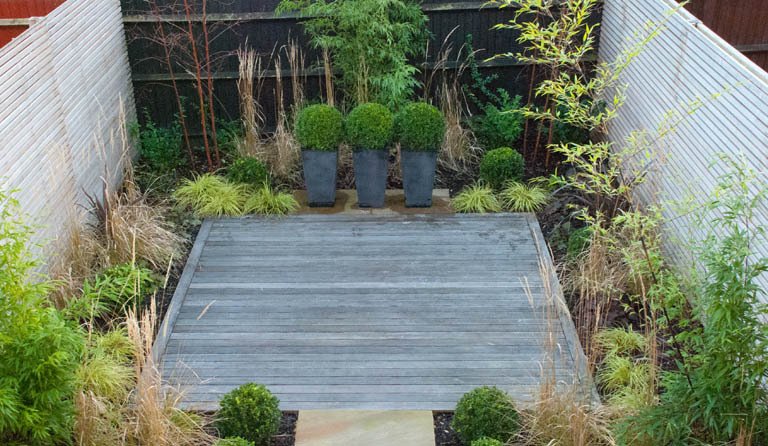 I love the variegated leaves of the Carex ‘Evergold’ (low-growing sedge) which really lift the whole garden and I think the architectural form of the tall Calamagrostis ‘Overdam’ grasses really help to soften the structural form of the box balls. Because it’s such a small garden (5m x 10m) I still find it a little tricky to take great pictures. 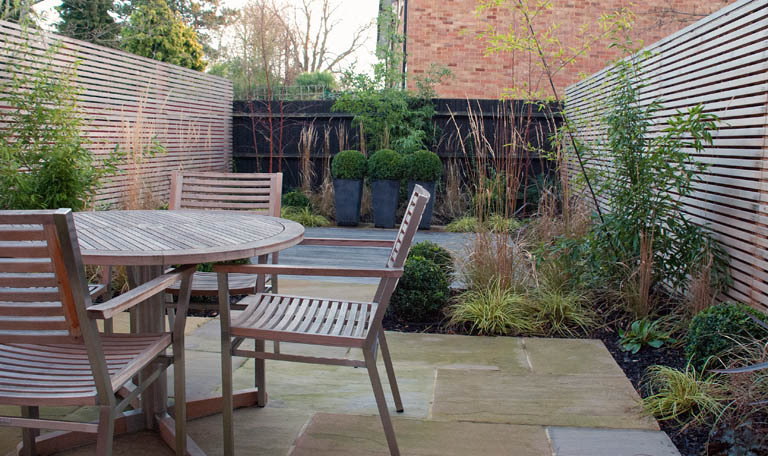 I hope you get the feel for the space though – my clients have been sitting out drinking coffee even in cold weather…and to think they never stepped out there before…just goes to prove that a well designed garden has the power to completely change the way you feel about it!